Generals and LASERWORLD Team Up! 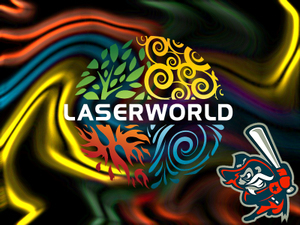 The Generals are proud to welcome LASERWORLD to the family for the 2014 season! LASERWORLD will be making its presence felt inside Riverside Stadium in a big way! They will be the official sponsor of the Victoria Generals Baseball Card set, Victoria Generals poster schedules, and be a part of something so big...that you'll have to wait till opening day to find out! LASERWORLD is located on 310 E. Larkspur and is perfect for people of all ages! Stop by the Victoria Generals office to get a buy one get one pass and see just how much fun LASERWORLD is!